With International Women’s Day a recent memory, here at Xen-Do we feel it is time to look back at the pioneering figures of female Martial Arts. Michelle Yeoh and Zhang Ziyi were the lead female roles in Crouching Tiger Hidden Dragon, the most successful foreign language film ever produced and hailed by some as the most influential martial arts film of all time. Both Michelle Yeoh and Zhang Ziyi displayed incredible skill and technique throughout the film and have since become icons for female martial artists around the world. Their speed, power and defeat of countless male martial artists throughout the movie served as a landmark for women interested in the martial arts world. Michelle Yeoh is the epitome of success in the martial arts world, ranking as highly in the eyes of fans everywhere as any Bruce Lee, Jackie Chan, or Jet Li. Yeoh became famous for doing her own stunts, and was one of the few female fighters Jackie Chan reportedly wasn’t hesitant to work with. Ziyi went on to work with both Jackie Chan and Jet Li. However, she would not stay as a supporting-cast member forever: Ziyi came into her own with House of Flying Daggers and Memoirs of a Geisha. Rousey burst into the martial arts world when she went from Olympic judo bronze to first ever female UFC champion. With her rise to fame Rousey provided a voice for women around the world, that they can fight and they can be proud of doing so. 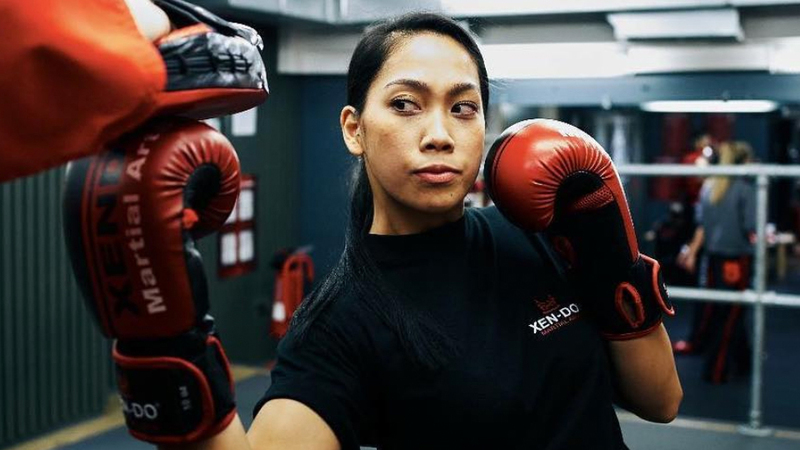 She opened the door for mainstream martial arts for women. Lucia Rijker, most famous for her role as in the Oscar-winning Million Dollar Baby, was a 37-0-1 kickboxer. During her long run as a dominant Kickboxer she ran out of female fights and so sought to take on a professional male opponent. Unfortunately she did not win the bout but her bravery and pioneering will to make take up the challenge helped to break through gender norms and solidify her as a major female influence on the martial arts world.